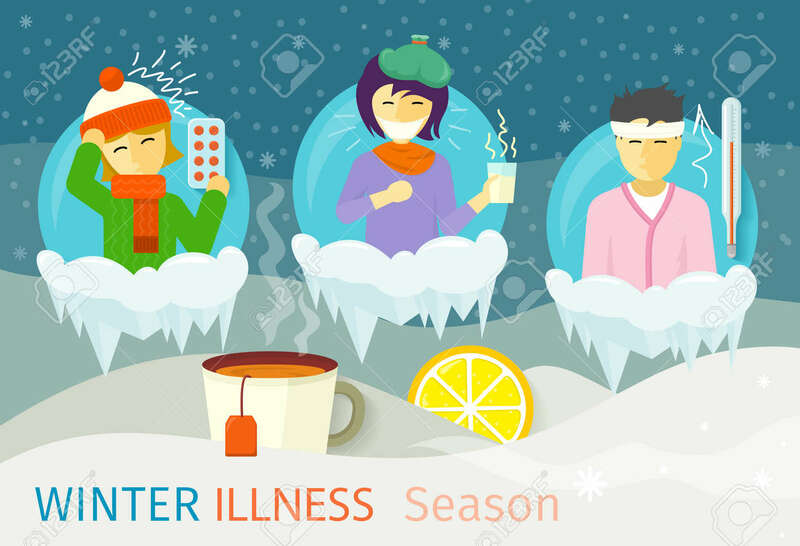 Winter Illness Season People Design. Cold And Sick, Virus And Health, Flu Infection, Fever Disease, Sickness And Temperature, Unwell And Scarf Illustration Royalty Free Kliparty, Vektory A Ilustrace. Image 50969643.